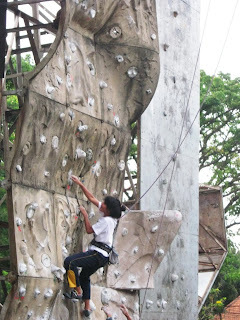 A climbing wall is an unnaturally builded wall with grips for hands and feet, usually used for indoor climbing, but sometimes located outdoors as well. 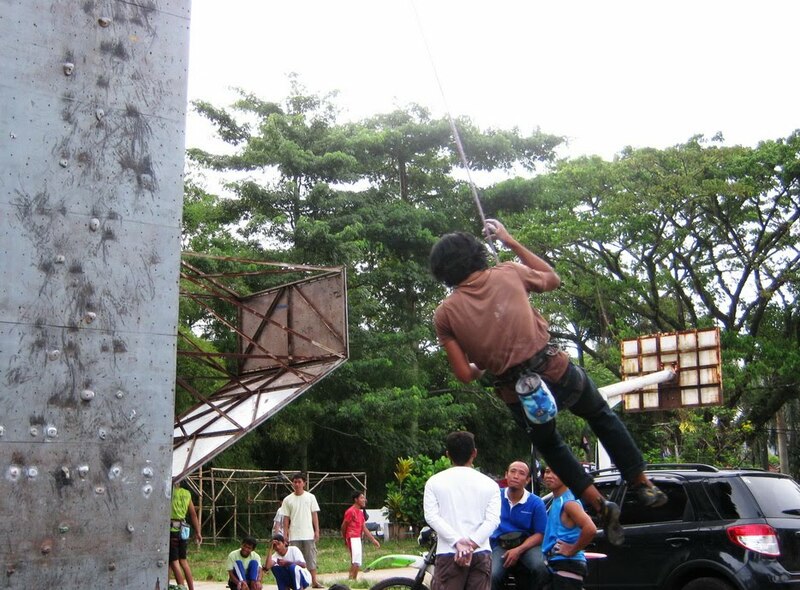 Around the Sempur Field Bogor (West Java, Indonesia), you can find the out door climbing walls. 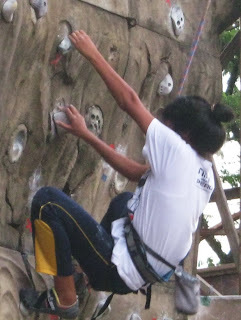 When I visited Sempur Field last Saturday afternoon, I saw several young people were practicing- climbing a rock-textured wall. 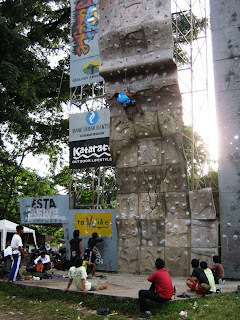 The idea of the artificial climbing wall began in the UK. The first wall was constructed in 1964 at Leeds University by Don Robinson, a lecturer in Physical Education and founder of DR Climbing Walls, by adding pieces of rock into a corridor wall. Gym climbing is becoming an increasingly popular urban sport and offers a lot of people with the chance to try some parts of the sport of rock climbing. Bouldering gyms focus on bouldering rather than roped climbing (data source: Wikipedia). Don’t ask me to try this extreme but safe sport, since I still have my high sickness. Are you brave and strong enough to do this kind of sport?